1. 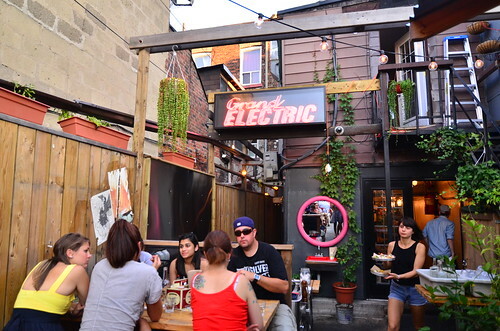 Grand Electric – This place had a long line before they opened for the evening and this is where you go to get your drink on along with gorging on tasteful bites from our mexican neighbors. 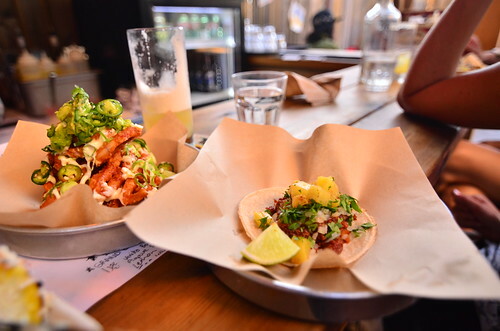 Patio bar-grill that serves some of the yummiest Pork Belly tacos and Spicy Squids. Grilled corn, Japapeno infused margs FTW! 2. 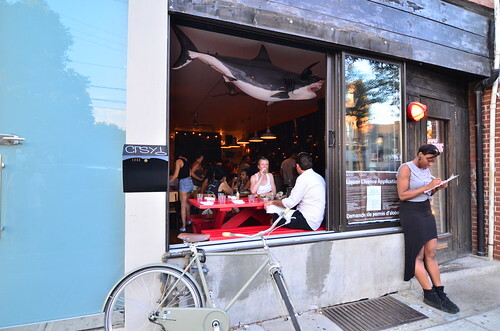 Nervosa – Narrow two tiered corner house that is undeniably cool, in a neighborhood where people watching is a sport. 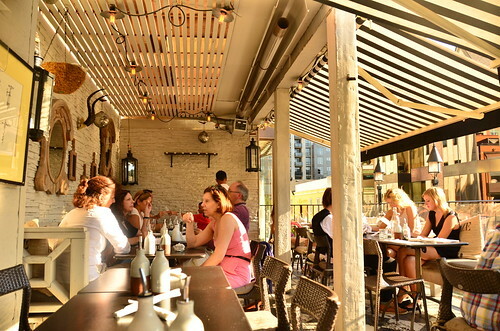 Grab a seat in their cozy rooftop patio and wine away! 3. 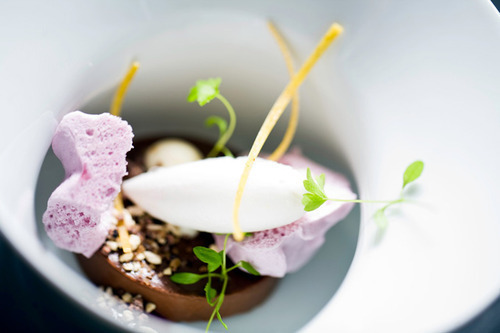 Colbourne Lane – Claudio Aprile is regarded as one of the most innovative and creative chefs in Canada. 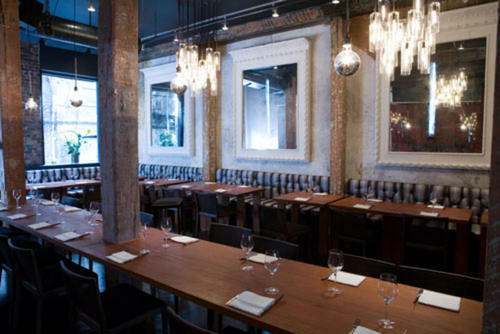 The chef and owner Claudio Aprile follows Ferran Adria’s experiments with molecular gastronomy, with a Torontonian twist. A meal for the special night! 4. 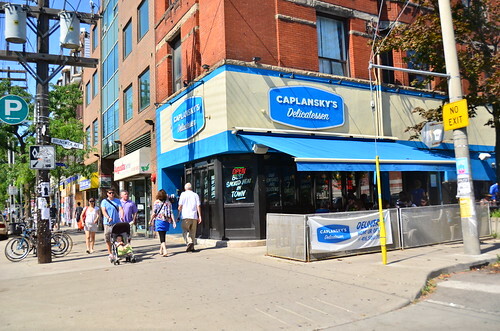 Caplansky’s – It’s a Toronto institution for meat – pick a Sunday morning to have your hearty meaty brunch. 5. Hotel Gelato – cool off the meatyness with a Gelato! The place doubles as a restaurant and a free wifi-spot, if incase you are ready for a second Sunday meal. 6. 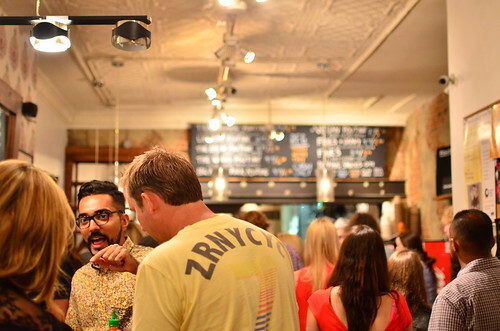 Poutini’s – Late night spot for the all imbibed souls. 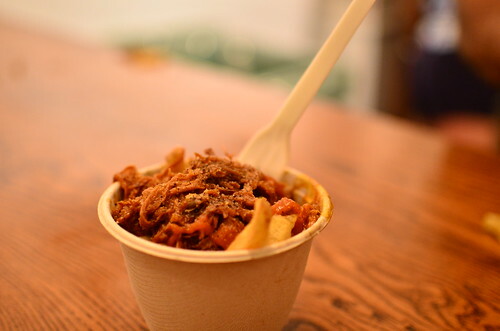 Shredded Pork Poutines with Sriracha. Can’t beat it! 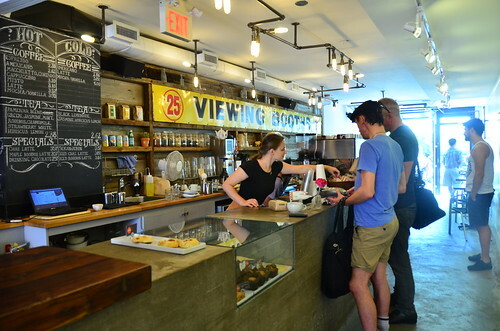 An indie cafe with high wooden long tables, concrete counters and rusty industrial decor with a gorgeous patio will invite you to this neighborhood cafe. 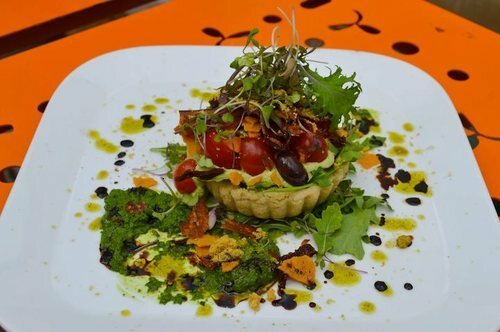 Toronto’s first raw food restaurant. Chef Matthew Matheson, harvests his ingredients in the rooftop garden and stands by the farm-to-table policy. 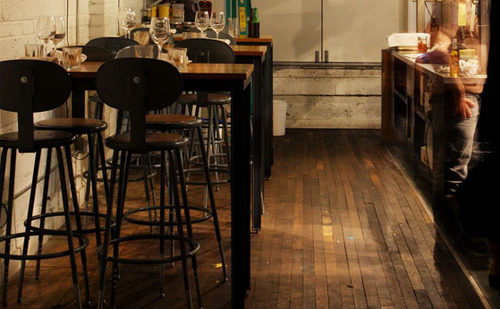 It’s also a live-music venue on the lower level. 9. 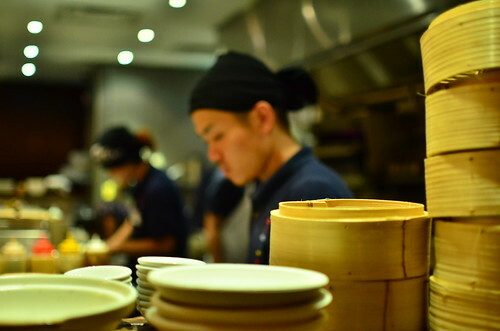 Guu Izakaya – A pretty authentic Japanese pub in Toronto, if you are craving for some eastern influence. The wait was over 45 minutes so you got to plan for it. The vibe, the crowd, the service, the sake in a Bamboo was all pretty delish. 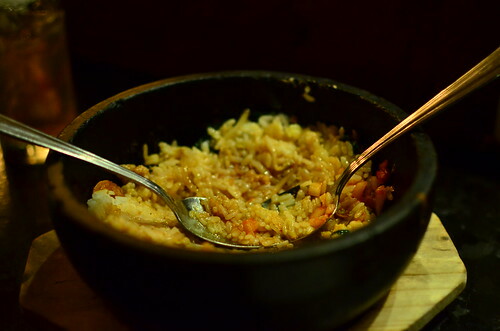 Another food spot that satiates the late night spicy craving. 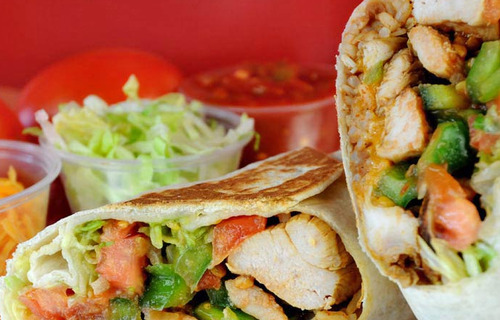 Its a fusion of taste in this burrito chain- try one with rice and noodles mixed with veggies that’s part Indian-Asian-Mexican. That must be one well-traveled-bite! And that concludes the short list of places for you to check out in your next trip.